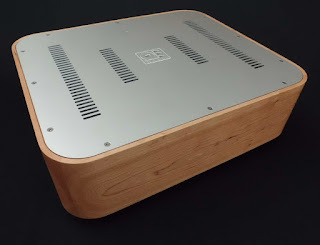 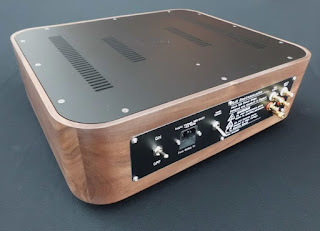 Approximately 15 years since the Arcadia Model 1 and Model 2 line stage preamplifiers ceased production, SJS Electroacoustics are pleased to present the all new bespoke Arcadia Model 3 all valve moving magnet RIAA phono amplifier. The Arcadia Model 3 Moving Magnet phono stage uses a triode-wired D3a common cathode valve for the input stage, to provide high gain, excellent linearity, high overload margin and exceptional transient response. 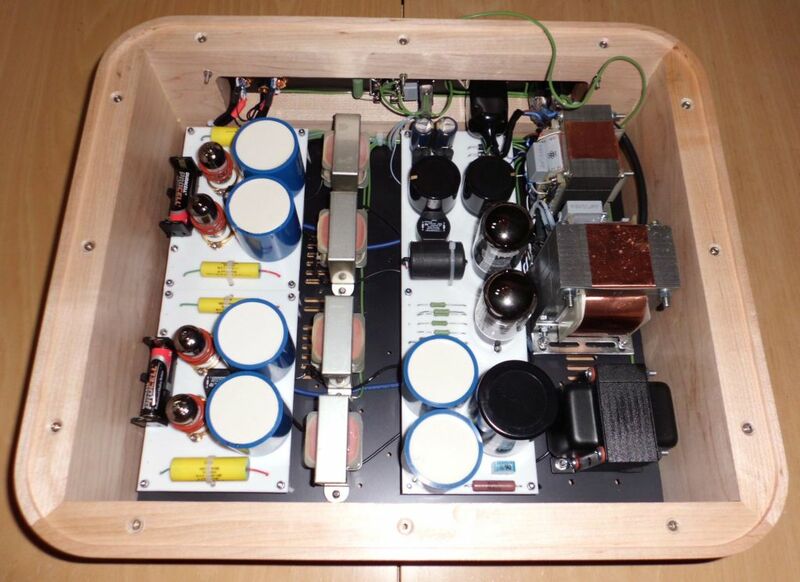 This drives the low impedance resistor-capacitor (RC) passive RIAA filter, with a high gain EC8010 valve as the output stage. 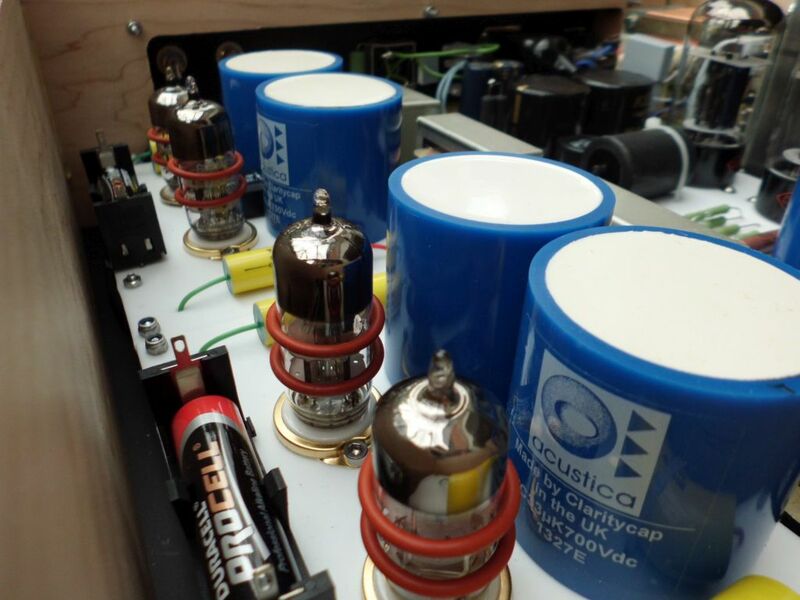 The detrimental effects of electrolytic capacitors in the audio circuit are avoided by utilising custom designed and made film capacitors in the power supply, with each gain stage having its own choke-capacitor filtered branch of the supply. This approach extends to the audio circuit where the use of electrolytic capacitors for cathode bypass has been avoided by running the first stage biased with a SiC diode, and the second stage using fixed battery bias on the grid. 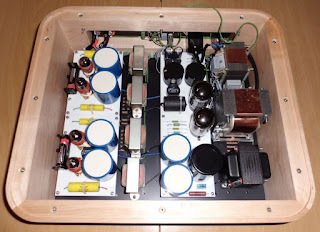 These design solutions deliver a dynamic fast and clean presentation, whist preserving the tone, clarity and effortless grace of a good valve amplifier. 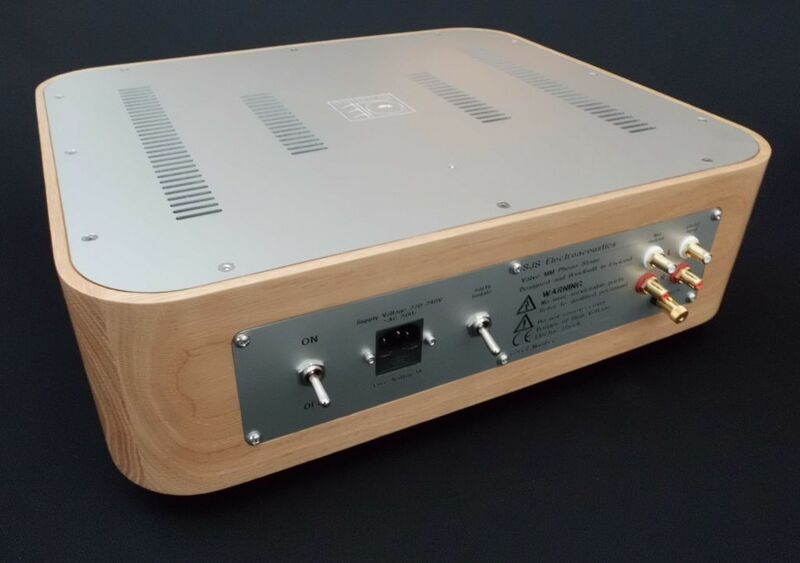 The avoidance of a cathode follower output stage provides a significant benefit to the musical delivery of the unit, however it does mean that it is not a universally applicable phono amplifier and for optimum performance has been designed to be used in a system where the following preamplifier stage has an input impedance of 100 kOhm. 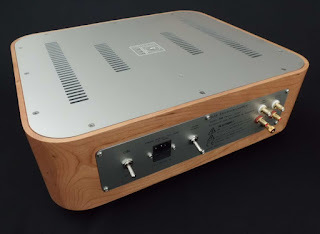 It may be used in systems where the following preamplifier stage has an input impedance as low as 20 kOhm however there is likely to be a reduction in bass performance in this case. If there is a desire to use the unit with a load below 100 kOhm on a long term basis, it may advisable to discuss having the unit customised to suite with SJS Electroacoustics directly. 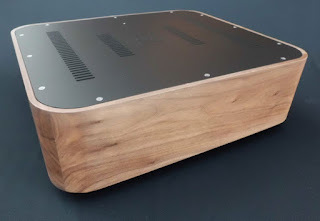 The Model 3 valve MM phono amplifier is hand built to order in England, and therefore we are able to offer customisation to meet your aesthetic and sonic preferences. the solid wooden chassis is available in a range of four standard choices; cherry, maple, light oak and walnut with others such as zebra wood available to special order. 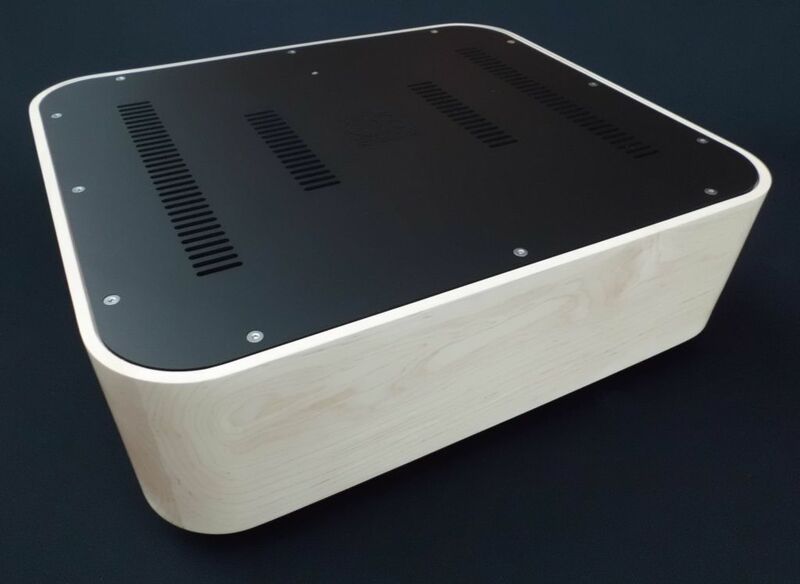 The chassis panels are available in either natural or black anodised aluminium as standard, with other colours, such as blue, red or gold, available to special order. 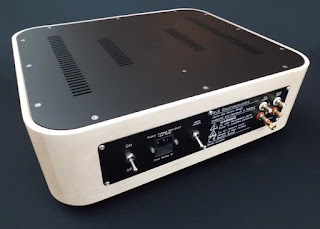 Bespoke customisation of the internal components is also possible to meet our clients' specific requirements, whether it be for use of a certain interconnect cable between the phono sockets and the circuit, or replacement of the NOS Hovland MusiCaps with Duelund RS or CAST or possibly even using Tantalum film resistors, for example, these can be discussed at the point of ordering.